When it comes to baking with maple, Grade C (or sometimes Grade B; see note, below) is anything but average. It's is the deepest, darkest, most assertively maple-flavored grade of syrup you can get; while it can be a bit strong for, say, topping your pancakes (that's Grade A territory), the higher-octane stuff lends a rich, almost caramel-like maple flavor to baked goods. 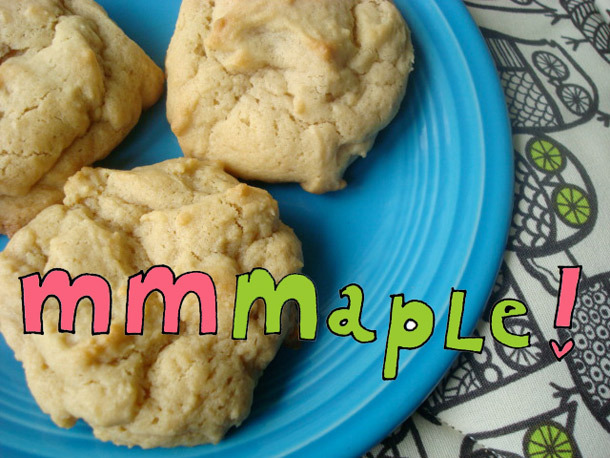 These simple drop cookies, adapted from a recipe I discovered in a vintage Vermont baking pamphlet at the Maple Museum of New England, are an ideal recipe to let the maple flavor shine. They're great on their own, or if you want to double your pleasure, sandwich two with a smear of buttercream. Note: As I learned on this website, Grade C Maple Syrup is no longer used by USDA. Grade C Maple Syrup is now designated USDA Grade B Maple Syrup. However, while in Vermont last week, I still saw a lot of maple labeled Grade C. If you can't locate Grade C maple syrup, simply choose the darkest Grade B variety you can find.